If you have any questions or want to enquire about dates, use our form to contact Marian or see their website for more information. Make friends around the pool; sit in the shade of your private pergola. Wherever you stay – in the 18th-century farmhouse or the building alongside – the grounds are gorgeous and the interiors first class. What’s more, Marian welcomes you with smiles and a big hamper of fruits from the farm. Beyond the peach orchards you can see the hills: Arezzo at one end, Cortona the other. 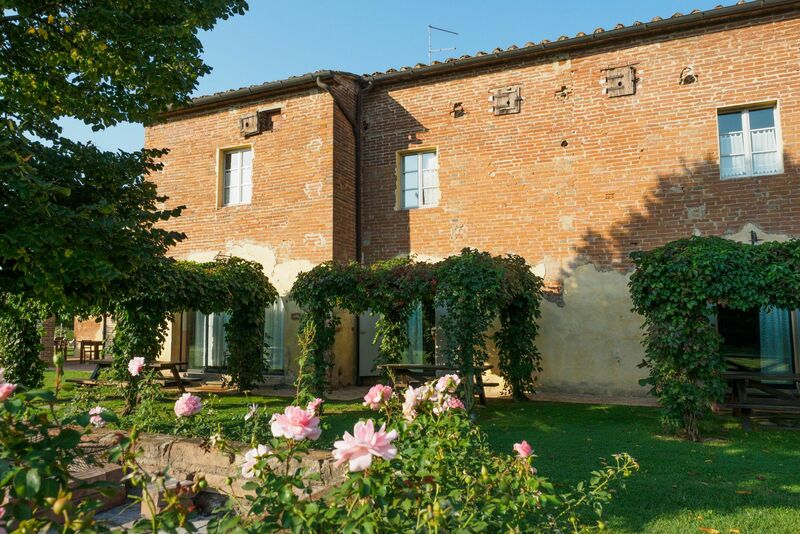 Set off on the bikes for pastries in Pieve al Toppo (‘Panificio Fratelli Pierozzi’ is unmissable) or stroll across the lawns to take breakfast on the loggia. For groups, twice-weekly dinners are an option, and local wines are for sale. Walk from the door along the Sentiero della Bonifica; it stretches 60km. Shop and eat in the lovely hilltop town of Civitella, and marvel at the views from the great fortress of Montalcino; children love it. Breakfast €12. Dinner €35. Restaurants 3km. Rooms in B&B option, €120 per night. Coming to the Foresteria was like stepping into history. I had just finished a book about the reclaiming of the valley of the Valdichiana by Duke Leopold, so it was the perfect way to make the book come alive. I couldn't have stumbled upon a more enthusiastic and energetic owner as Mariana. I can see why guests keep returning to the Foresteria! 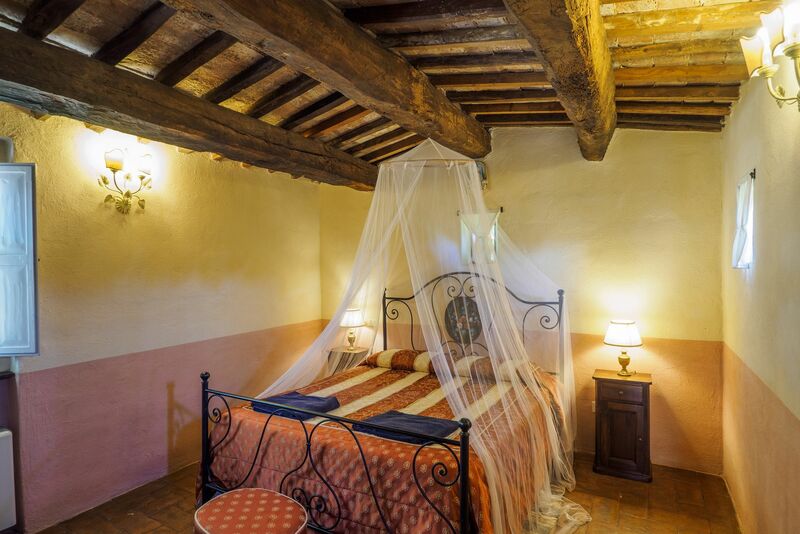 This agriturismo lies in the Valdichiana flatlands, known for its orchards, Chianina cattle and Leopoldine farmhouses. 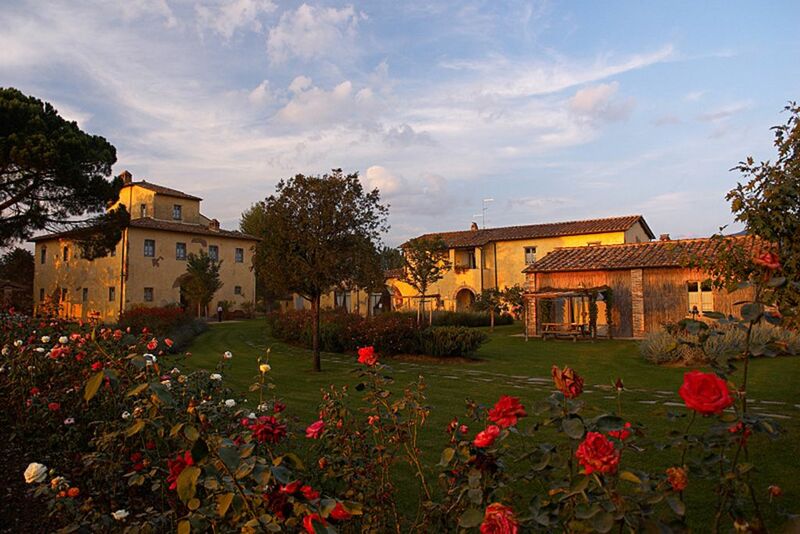 Located 4km outside Pieve al Toppo, you are minutes away from Civitella (11km) and Arezzo (15km). The latter is known for its monthly antique fair, the oldest in Italy, and its Piero della Francesca frescoes. You are also well-placed for exploring the lovely medieval towns of Lucignano (18km), Cortona (30 km), Montepulciano (38km), Pienza (44km), Siena (58km) and Montalcino (61km). Local points of interest from Marian . "Giostra del Saracino". The Sarecen's Joust ( " giostra ad burattum) is a centuries-old knight's game, part of military drill, dating back to the Middle Ages and referring to Western Christendom's struggle to contain the Muslim advance. Concorso Polifonico Internazionale " Guido d'Arezzo"From 1953, this international Concorso Polifonico takes place from wednesday before the last Sunday of August to whole last sunday of August. Just 10/15 minutes driving from Foresteria, you will find some small villages as Civitella or Lucignano, where to spend a short walk and enjoy a meal or just a coffee in a small bongos lot of history, and fantastic views from Valdichiana valley. Enjoy the relax and peace of our Foresteria . enjoy biking through Il Sentiero della Bonifica, a 62 kms land road for bikes or walking , just inside our fruit orchards. Three generations have owned and managed this huge fruit-producing farm. Although Francesco and his Spanish-born wife Marian live with their young family near Arezzo, Marian spends her days here and her personalized attention is unparalleled. Book up for Francesco to take you on a breathtaking flight above the Tuscan hills!